SUP Classes and Tours | Portside Paddle Co.
Want to give the gift of paddling? Get ready to have some FUN!!! We begin this introductory class with a “dry land” thorough safety, navigation and equipment review (board, leash, paddle and PFD – including custom PFD – also known as a “life jacket”). You will learn the basics of Stand Up Paddling [SUP], get that “check me out” photo for social media, and become an established paddler! Includes all equipment and a spring wetsuit (if desired) as well as an extensive pre-launch safety, equipment and technique overview. You will experience approximately 90 minutes of on-the-water time with instruction throughout the class to perfect your newly acquired skills. We will also check out the seals, sea lions, otters and – if we’re lucky – dolphins and whales. Includes Board, Paddle, PFD and wetsuit if desired. We also take photos & videos of you so you can have an amazing memento! 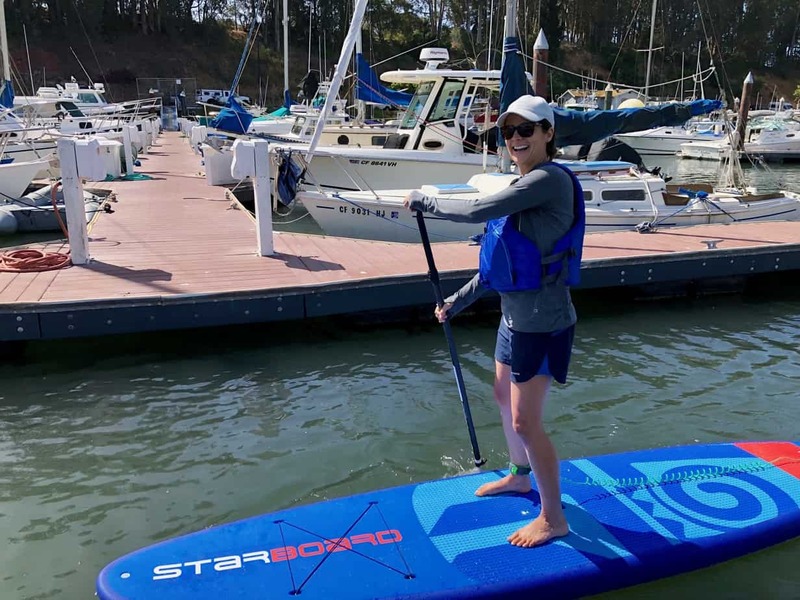 This 4-part private class is perfect if you want to learn the basics of Stand Up Paddling [SUP] and be confident paddling on your own – we call it the “path to to independent paddling” course. 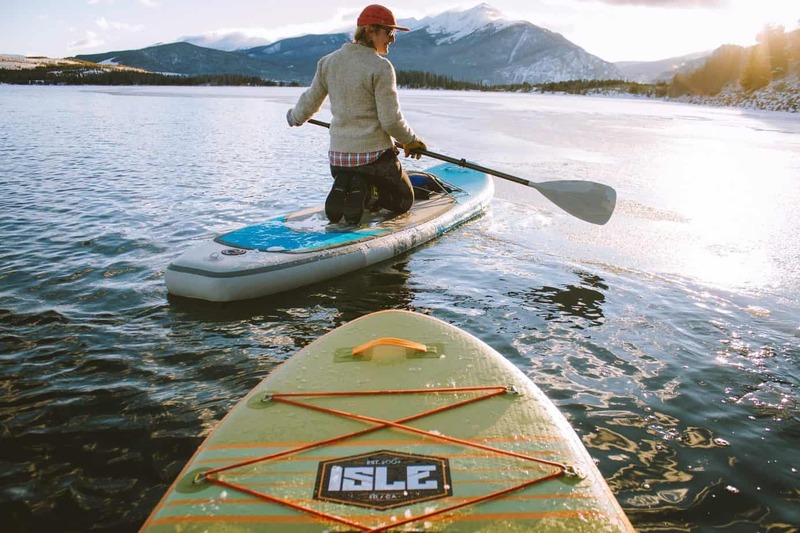 You will go from newbie to established paddler — including mastery of the 5 essential paddle strokes which will allow you to safely navigate in a variety of ocean and lake conditions. We’ll teach you how to adjust and use each piece of equipment properly, as well as how to assess the weather, wind and waves (as well as any other environmental conditions) wherever you next paddle. As importantly, you will learn how to plan your paddle route, self-rescue and efficiently manage your equipment and your body to ensure a safe, fun and rewarding paddle every time you get on the water. In addition to giving you a true local experience (with some fun stories about Santa Cruz and its colorful cast of characters), we take lots of photos and videos for that all important “check me out” social media post!!! Includes all high-end equipment and an O’Neill spring wetsuit (if desired). Come paddle with a local Ph.D. marine scientist! 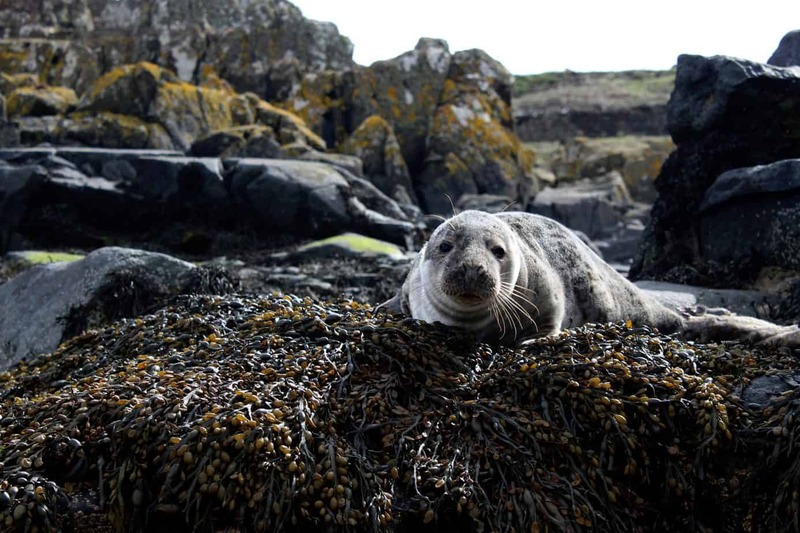 Ever wondered how to tell the difference between a harbor seal and a sea lion, or the importance of the kelp forest? Now is your chance! 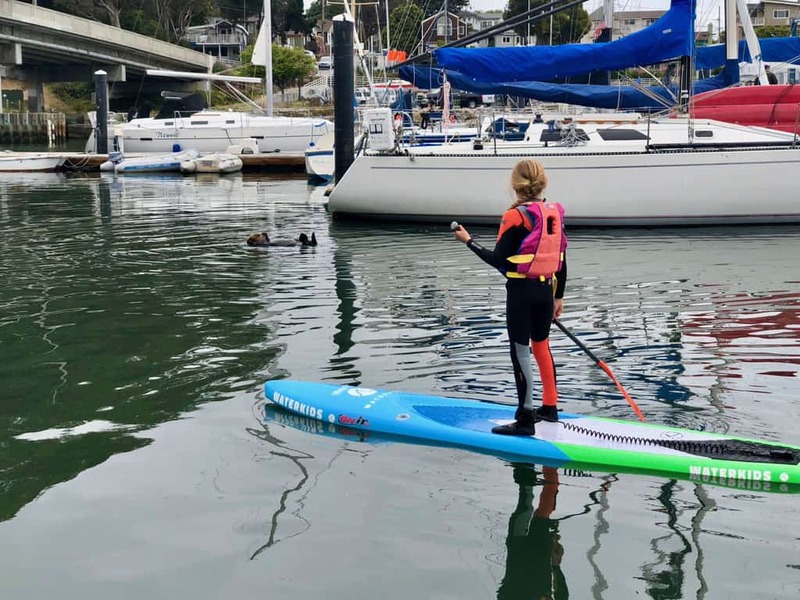 Open to intermediate and above paddlers, Dr. Helen’s conservation education tours provide an amazing opportunity to perfect your Stand Up Paddle skills while learning all about the Monterey Bay marine ecosystem. Includes all equipment and a spring wetsuit (if desired), as well as an extensive pre-launch safety, equipment and technique overview. Provides for approximately 90 minutes of on-the-water time with continued instruction throughout to perfect your newly acquired skills and we will check out the seals, sea lions, otters and – if we’re lucky – dolphins and whales. And yes, you can bring your equipment if you prefer (subject to safety inspection by instructor). NOTE: Safety always comes first. Because this tour takes place largely outside of the harbor, you must first either: 1) pass an initial proficiency assessment, including demonstrating the ability to self-rescue [meaning get back on your board if you fall] or 2) take an introduction to SUP course with Portside Paddle and demonstrate the ability to self-rescue. This is a “5 for the price of 4” group SUP package – grab 4 of your friends and/or family and learn to SUP together in a private group format. 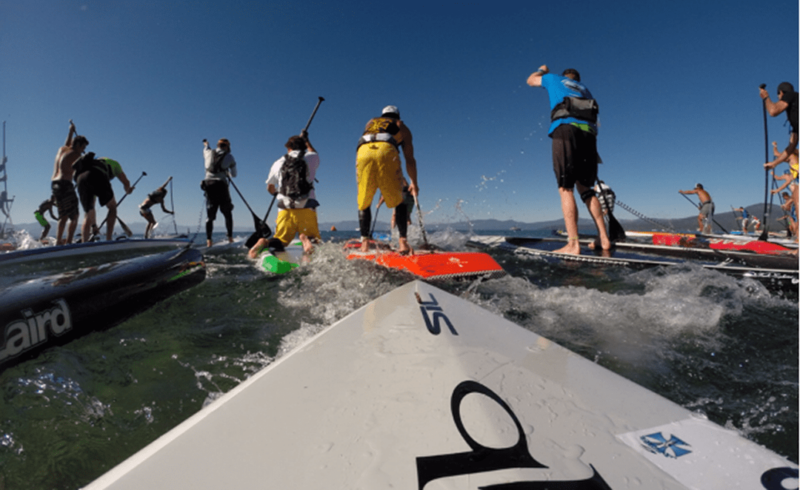 This package includes teaching all skills descried in the “Introduction to SUP” class above. 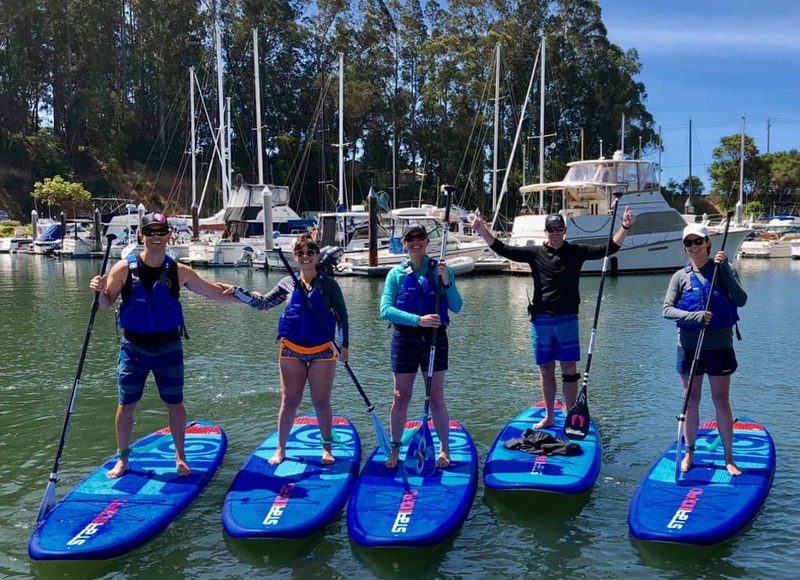 If you, your friends and/or family are already established paddlers and are looking for an adventure, we will happily create a custom paddle route including a tour of the Santa Cruz Wharf!! We offer group and private lessons for kids ages 10 to 17. 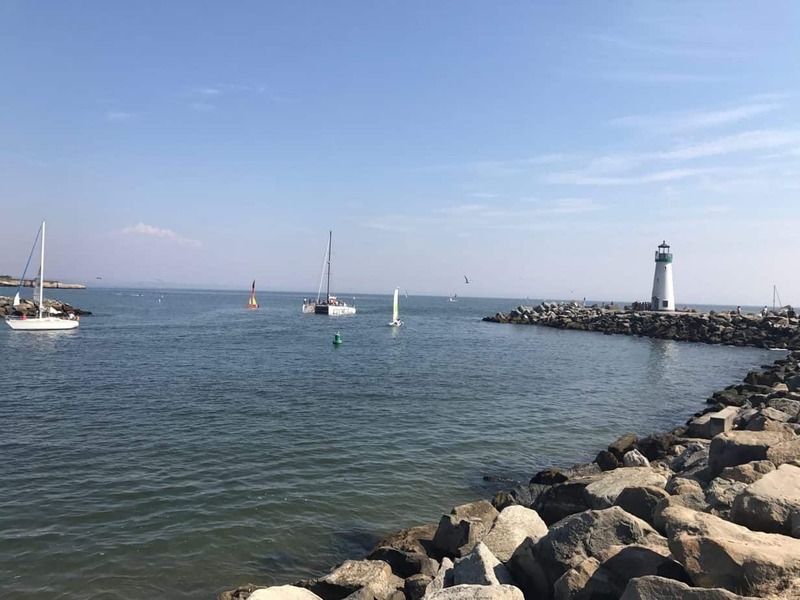 While remaining in the 1 mile long Santa Cruz Harbor, your child will learn how to use each piece of equipment properly as well as basic paddle skills, water safety, basic navigation and how to read weather, wind and waves. In addition to saying “hi” to the otters, seals and sea lions in the Santa Cruz Harbor, we also teach an on-water marine ecology course to explain and encourage responsible environmental habits. Plus, you’ll be able to monitor your child’s progress from the docks!! This course is ultimately designed to AMUSE, EDUCATE & INSTILL CONFIDENCE in your child, on and off the water. Includes all equipment as well as spring wetsuit (if desired)! Price: $140 for one-on-one lesson; $125 for 2 or more children (with discounts for repeat paddlers). NOTE: Safety is our priority. Because we tailor youth lesson to meet the needs of each child, please contact us to discuss how to best serve your child. If you have a child under the age of 10, please contact us to discuss safe options to get your future paddler on the water. COMING IN SUMMER 2019: Portside Paddle will be offering weeklong Youth Summer Camps, Monday through Friday, from 10:00 a.m. to 3:00 p.m. These camps are going to be awesome – contact us now for details! Do you want a private family, work or group tour in the Santa Cruz Harbor or elsewhere in northern California? Congratulations, you found the right paddle company! Watching people bond over the shared experience of Stand Up Paddling and marine education is one of the great joys in life here at PPC, and we’re happy to accommodate a wide range of requests. Give us a call and let us create the perfect SUP experience for you and your team! Are you a beginner who prefers one-on-one instruction? Are you an experienced paddler who wants to hone existing skills for an upcoming distance event? Recovering from an injury and looking for a low impact activity to get back into shape? No matter your paddling goal, we will work with you to achieve it – including accommodating your busy schedule by offering early morning and late evening time slots. For the distance training lessons, we’ll make you more efficient, situationally aware (a key in racing and distance disciplines), and teach you the tricks to faster paddling including hydration, energy management and taking advantage of prevailing and micro conditions. Whether you bring your own gear or not, we offer a fleet of carbon race boards (28” through 24” wide) and paddles for you to experience in your pursuit of efficiency. Price: $125 (with discounts for repeat/program paddlers).